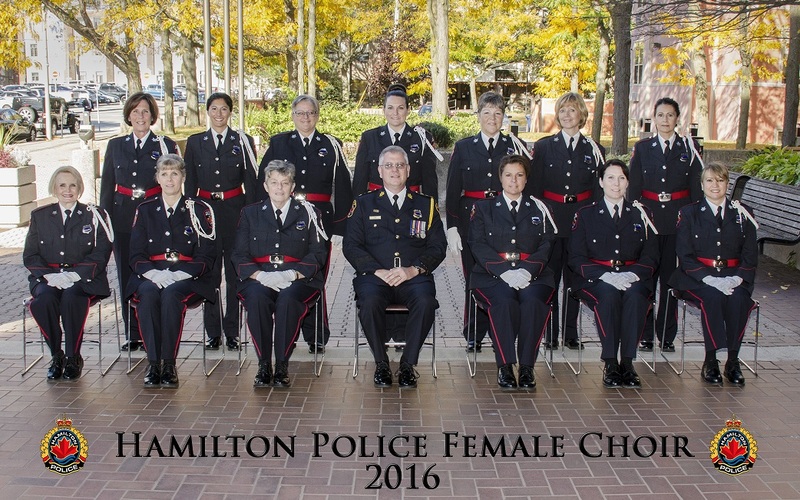 The Hamilton Police Female Choir made history in 2001 when the group became the first and only all female police choir in Canada. Since then the choir has grown to 27 members, comprised of sworn and civilian female personnel from throughout the service. The Choir members devote their time to performing at several engagements including Hamilton Police Service’s Annual Awards Night and a host of community special events. Of particular significance to the Choir is their annual involvement in the Provincial and National Police Memorials. Also significant to the Hamilton Police Female Choir is their commitment to supporting women and families in need. This is accomplished through a variety of fundraising events and performances for groups in need, throughout the year. The Choir is grateful to Chief Eric Girt, the members of the Hamilton Police Service, family and friends for their generosity and support, they encourage the Hamilton Police Female Choir to realize their vision of creating ‘unity throughout harmony’.